Many critics view the C6 generation of Corvettes as one of the most well-balanced and superbly engineered Corvettes to hit the streets in a long time. GM has continually improved upon the C6 line, fine tuning what works and improving what doesn’t. Here is a closer look at the 2007 Chevrolet Corvette and what has made this C6 such a popular addition to the iconic line of American muscle. From the moment the sixth generation of Corvettes hit the markets in 2005, GM continued its process of making improvements and making this generation stand out from the rest. Beginning in 2006, a barrage of performance improvements were created for the C6 Corvettes. This mission of creating one of the best American sports cars continued in 2007 with even more enhancements. Both the base coupe and the convertible models were available with perforated two-tone seating that featured contrast stitching and embroidered crossed flags. The color options are titanium, red, and cashmere. Other interior improvements include a large glove box, audio controls mounted on the steering wheel with the Bose audio system, and OnStar was available on the Z06 with the optional 2LZ package. On the outside of the 2007 Chevrolet Corvette, customers could get the power top as a feature with the 3LT package on convertible models. With models that came with the Magnetic Selective Ride Control option, you could get cross-drilled brakes that were previously only available on the Z51 performance package. Corvette also introduced a new exterior color. In order to replace Daytona Sunset Orange Metallic, GM offered Atomic Orange Tintcoat Metallic as a color option. The LS2 engine produces 400 HP and it comes with a manual 6-speed transmission. There is also 6-speed paddle shift transmission available as an option. It also has an automatic mode for the driver that simply wants to drive without distractions. Featuring a front and rear short/long arm suspension system, the 2007 Chevrolet Corvette could very well be one of the most competition-influenced setups in the history of the line. The 2007 Chevrolet Corvette Convertible features a five-layer fabric configuration for the power and manual tops. These help to create an improved appearance with the top up by hiding the framework of the top while also helping to reduce road noise. 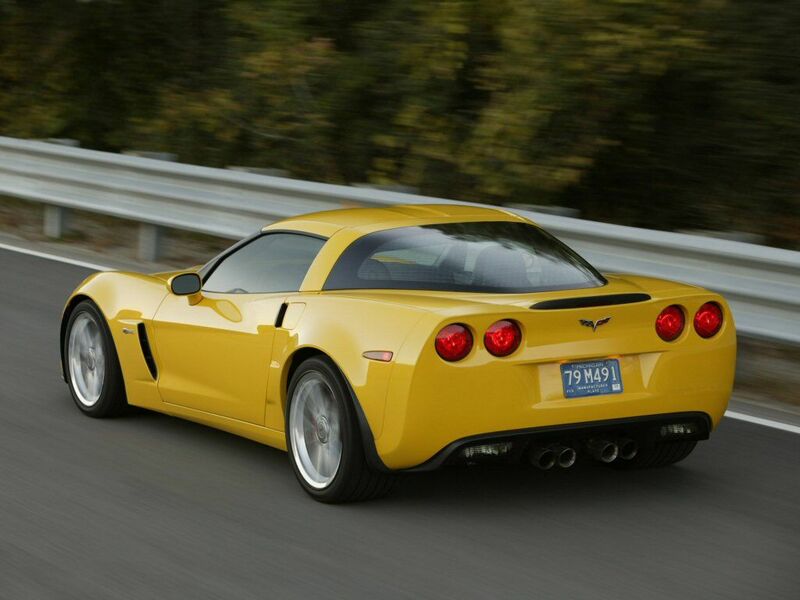 Along with the base coupe and the convertible, GM offered a Corvette for the true speed freak, the Z06. While the base coupe and convertibles shared many of the same performance features, the Z06 was in a class of its own. In the history of the Corvette that spans over 60 years, the 2007 Chevrolet Corvette Z06 has to be one of the most advanced and fastest models to ever be produced. With aerodynamic features borrowed from the C6.R race car that won LeMans and a massive LS7 engine providing around 500 horsepower, an adrenalin rush isn’t an exception, it’s the standard. Along with the generous horsepower, this setup can deliver a 0-60 performance of under 4 seconds. And that’s only in first gear. This might lead you to think that the Z06 is a gas hog, however, it has an impressive fuel economy of 26 mpg. All colors, with the exception of black, were available with two-tone options. For the convertible tops, consumers could choose gray, beige, or black. Given the popularity of the Corvette, there are plenty of places you can find parts and support when it comes to taking care of your Corvette. Here are three great sources you can use if you need help or have any questions. 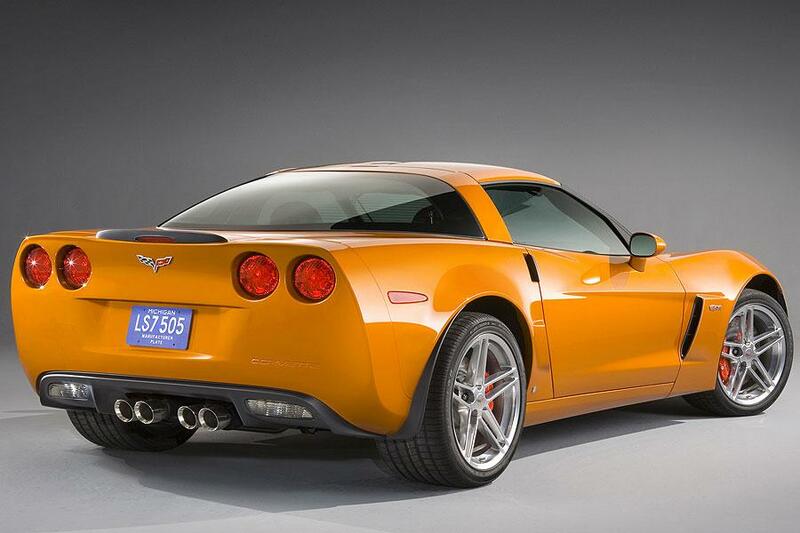 Corvetteonline.com – This is a great site for those looking to buy their very own C6 Corvette. Along with great information on what to look for regarding your potential purchase, the site offers links to other useful resources. Corvetteforum.com – If you are looking to connect with other Corvette owners, corvetteforum.com is just the place. Read posts concerning all things Corvette, learn from professionals and find out more about different aspects of being a true Corvette owner. Corvetteactioncenter.com – Whether you are looking for technical advice or simply wanting to find any updated information regarding Corvettes, corvetteactioncenter.com is a site you should take a look at. There is an overwhelming amount of information found here; you are sure to find an answer to any question you may have. Let’s face it, when you have a car that is as popular as the Corvette, you will undoubtedly want to find ways to make it unique and to stand out. Thankfully, the market for performance parts, accessories, and replacement parts for any Corvette is huge. Browsing the web will give you a good idea of what’s out there for your Corvette. You will undoubtedly find everything from performance parts to ground effects kits. All you need is some creativity, a computer, and a little cash! Did GM decide to create some major modifications to the 2007 Corvette? No, they did something better. Instead of “re-inventing the wheel” they took the C6 design and continued to improve upon it. They stuck to what was working and fixed what wasn’t, in other words, they did exactly what the consumer wanted. We wanted high-end American sports car and GM delivered. While the 2007 Chevrolet Corvette may not join the ranks of American classic cars anytime soon, its place among them is assured.